Discovering my freedom in Minnesota - General Discussion - Drive On Wood! Terrible syrup season this year. I doubled the taps and may end up with ¼ of the syrup from last year. The new evaporator works great though! Looks like your new evaperator is getting the job done. This syrup season is not looking good. Actually very poor. Do you know what it’s like being truly powerless? Yes, this is first world problems powerless. 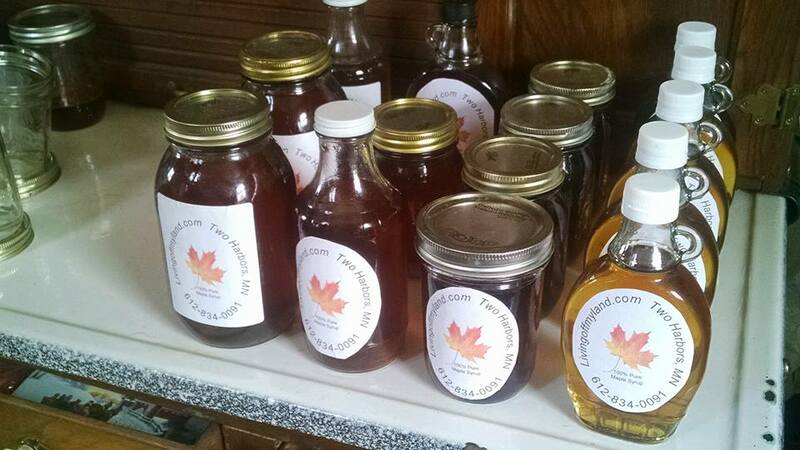 I did everything I could to double if not triple my syrup production this year. Over 200 trees tapped, two evaporators which allows me to evaporate at 20 gallons per hour. 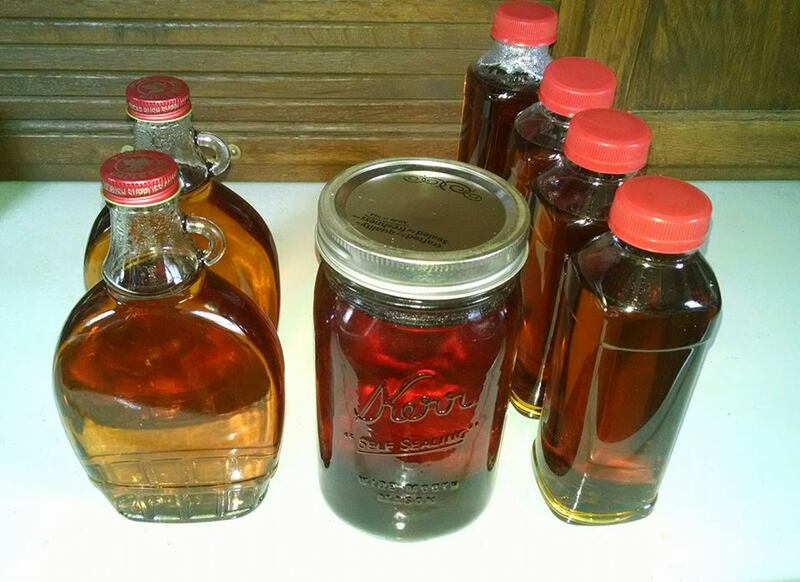 In a typical season I should have been able to make 20-60 gallons of syrup. Instead, now I’m hoping to make 5 gallons. On the bright side, I do believe I have been able to get really good at filtering and when to filter. Also, both of my evaporators work very well. Instead of spending $4-6000 for each unit, I have $4-500 in each unit. I only had to pay for firebrick, stove pipe and 1 pan. Mother Nature has the power. looks good bill. Is it still running? It actually hasn’t started yet. 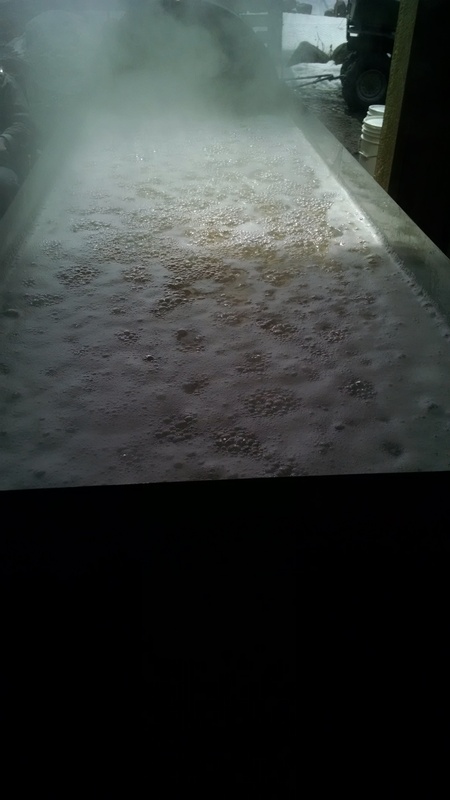 The sap I’ve collected is what was stored in the trees over the winter. There really was only about 2 dozen trees that ran a little bit. I’m hoping we get a couple of days this week. Hey Bill, I need to borrow that thing…Well then I guess I’d have to borrow some maple trees too. Nevermind. You might not need the maple trees. I think because it has the flat “finishing” pan, it would work for molasses as well. Sweet sorghum or sugar cane would work. Yes, and when the birch trees start running, I will try my at birch syrup too. You can probably get a premium for that. 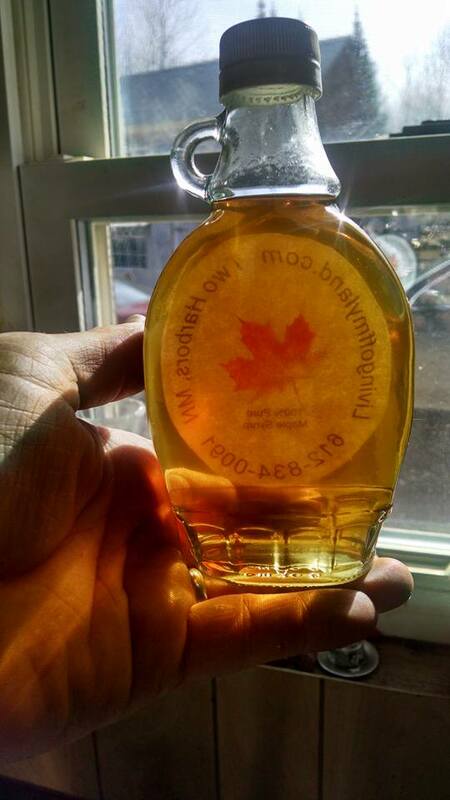 It is only like .5% sugar in the sap so almost no one makes it if they can make maple syrup. of time and wood, but probably a great treat I’ve heard! Hi Bill, you have them labeled for sale, but I didn’t see a link to buy on your website/facebook page. Are you selling those or just having fun with the labeling? Hi Jay, yes I do sell them. My problem this year is our season hasn’t started and by the looks of the forecast, it might be over before it starts. I will let people know if I have enough to sell. @madflower69, yes, it sells for double the money of Maple syrup. Primarily it is used as a meat glaze. I understand if I mix it with maple syrup, it’s good over pancakes as well. @pepe2000, Yes, it’s 80-150:1 ratio depending on the species. Also, it contains different sugars than maple of which are more susceptible to burning, hence the darker color and stronger flavor. Slow cooking is key. This will be a trial and learning year. I will bring samples to Argos this year if I have any. Hey BillS. you are on a need’s to be pursued vein-of-approch with your man’s-power versus Ma’Natures true power. Not that we have no power. Just very, very limited . . . in comparison. 200 years of self important delusions of our “power” tapping into first hundreds/thousands of years of soils and forests built up reserves of energys/powers. Then tapping into hundreds of thousands/millions of years of enrgys/power reserves in fossil coal and oils getting used up in mere hundreds of years. We once knew to annually produce/power/energy use and husband wisely. "Going with the flows"
Wind sail transport. Know the tides and energy flows. Man-oared estuary’s, and lakes fishing. The wisdom’s and ethics are still there in the song-stories and nursery rhymes. “Don’t kill the goose laying the golden eggs!” meaning do not over harvest the honey bees hives; the tree saps/pitch’es/barks if you expect there to be a “harvest” the following on year/s. NOT saying this is your this years low harvest problem. Donno’. Maybe just the over wintering conditions? Maybe. Modern day to put appreciation back into man-power versus Natures bicycling for all daily transportation is one way to do it. Work sweat in a full garden by hand with NO GASOLINE enslaving is another. So your lower harvest yield this year should just make All much more appreciative of this particular Ma’ Natures gift of life. Use now this year gleaming very wisely and sparingly. See how she is? Always teaching. Gently; if you appreciatively listen. Hard booting if you ignore her. Bill, I hope the trees still have some good stuff for you. Strange times. We had our best run in over 30 years in NH. 25 taps gave us over 4 gallons. Same here. 20 taps 3 gallons so far… it’s going dark though so it wont be long. Thanks for your response Steve. Since I became a member of DOW, I’ve read your writings of Ma Nature and the balance of. It’s always in my mind when I take from her. I am learning. I appreciate you opening my eyes. This year has been tough for everyone in this region in MN because of our long winter. I know I’m not the only lonely. The trees just started dripping today. Unfortunately, there will be limited nights of freezing temps. This will hinder the flow until that happens. I will accept what I receive and will be grateful. This year I will also try to make Birch syrup to see how that goes. We befriended some people up here that knows how to forage and is in the woods. They said they will invite us when they are going out so they can show us the ropes. David and Bruce, have either of you tried to make birch syrup? I’m trying this year. My grandfather used to make some and an a quaint ancestors more recently. Have you heard of injecting air to the pan to keep the syrup lighter? Some guys on Mapletrader tried it with very good success. It apparently makes it evaporate faster too. Nope, never tried birch syrup. Injecting air, hmmm. I have heard of it. They are claiming it is faster. It would make it lighter because it spends less time in the pans. Reverse osmosis has the same effect. It doesn’t have as much time to caramelize. A dedicated sap pan would help in your case to bump up the surface area for heat transfer.